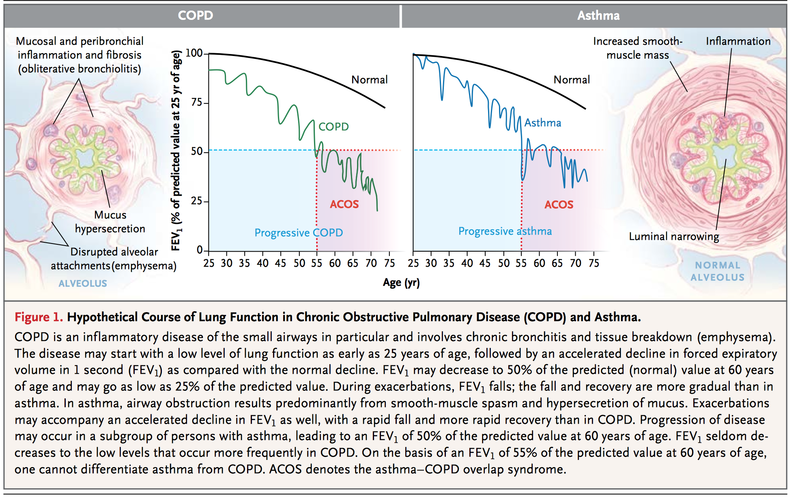 Dynamic Lung Hyperinflation occurs in COPD and not in Asthma. Its a way to differentiate between the two. Nocturnal Awakening rarely occurs in COPD. 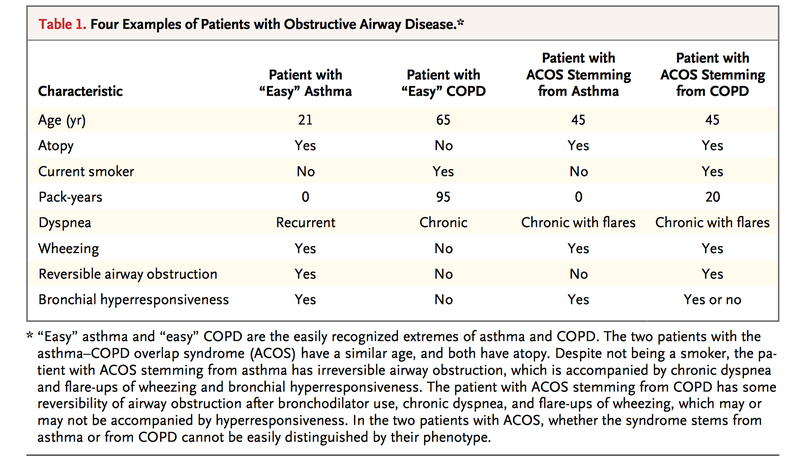 It does occur in Asthma or ACOS. 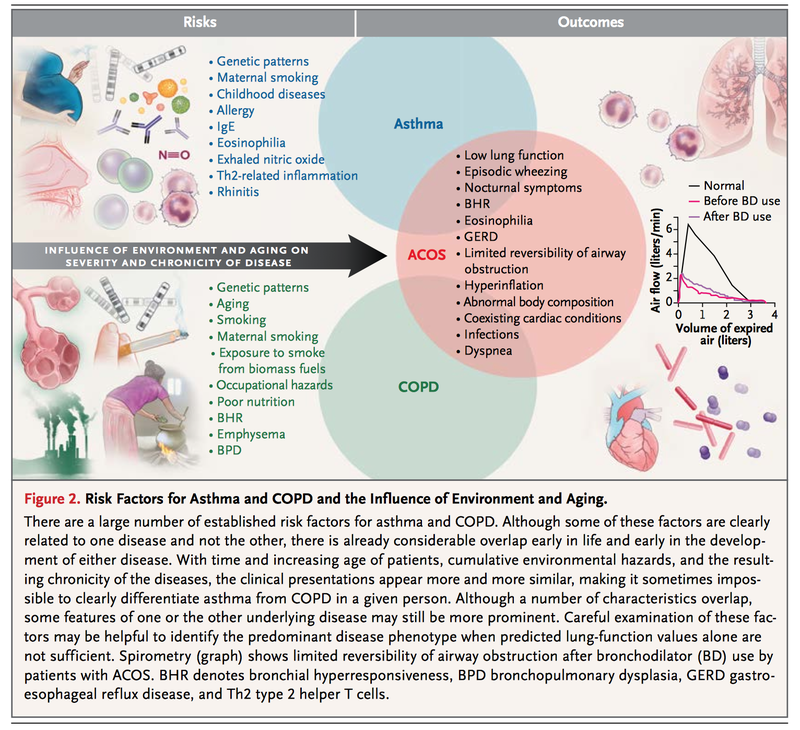 Th1 changes to Asthma can lead to COPD, while Th2 changes to COPD patient will lead to Asthma. These will be ACOS. Asthma has IgE, produced by Eiosinophils. Hence, likely is mediated by Th2 mediated process. Neutrophil Predominant - Often steroids resident. Note: Steroids will help Neutrophils live longer. Note: Tiotropium is now approved for Asthma.